If you haven’t done so already, you can totally download the Green Shack App – available on both iPhone and Android. 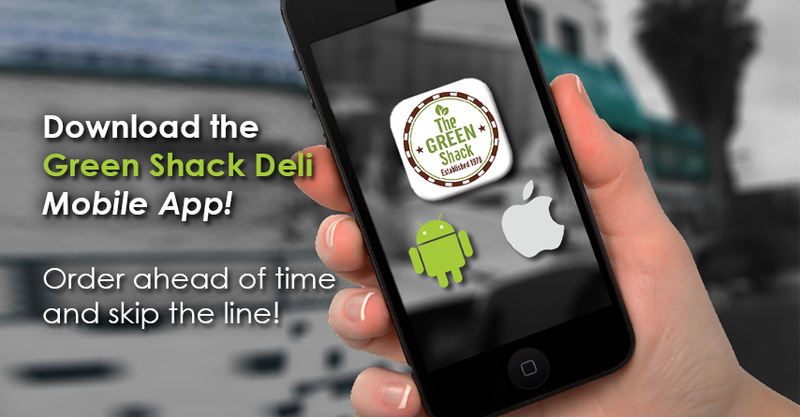 What can do you do with the Green Shack Deli App? Picture the scene: It’s 11:58am, lunch is around the corner and so is the Green Shack. Prior experiences make you remember the tremendously long lines at the counter full of noble individuals yearning for an award winning sandwich. You already have limited time and the clock is ticking. If you leave now you can make it to the Green Shack in time… but what about the lines? Oh gosh the line. Ask yourself – Do I want a sandwich? Of course I do. Do I want to wait in line during peak lunch hours at the Green Shack? No I don’t. I want my sandwich ASAP! With the Green Shack Deli app, you can order and customize your very own Green Shack sandwich from the comfort of your home, office or car (but not while driving because that’s dangerous!). Input everything you want on your sandwich and all you have to do is pay and pick it up! It’s that easy! What a time to be alive! Now you have the power of the sandwich. Download the Green Shack Deli app today and be one step closer to the blissful feeling of having Green Shack sandwiches at your fingertips.